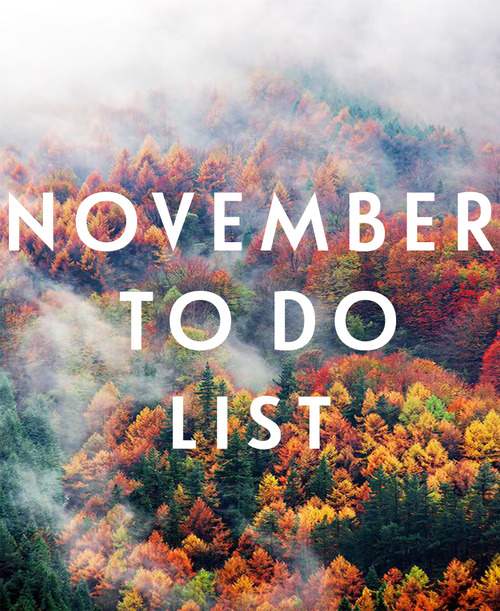 Today’s post is a continuation of last month’s post of things to do during fall. I know I mentioned it before, but Fall really is my favorite season not only because of the amazing weather but also because it offers such a variety of activity. The colors are so rich it takes everything in me to stop myself from jumping out of the car along the highway and snapping up pictures in random people’s yards. Below is a list of things we are excited to try this month. 1. Christmas tree lighting: don’t miss out on the the lighting of the Christmas tree downtown Indianapolis. This is the world’s largest Christmas tree, complete with nearly 5,000 lights and 52 garland strands streaming from Indy’s beloved 242-foot tall Soldiers and Sailors Monument. This tree has been named by Travelocity as one of the top five must-see Christmas trees in the nation. 2. Take a trip to the zoo in November: Stop by the Indianapolis Zoo for its annual light spectacular, and experience one of the nation’s top 10 zoos in a whole new way as hundreds of thousands of sparkling lights delight and inspire. 3. Get cozy: On a cold night, warm your sheets and PJs by throwing them into the dryer. Quickly make your bed while the bedding is still warm and crawl into your little piece of heaven on earth. 4. Update Your Manicure: There are too many amazing nail trends out there to stick to one look all season. 5. Think Thankful: Start a gratitude journal and participate in my thankful challenge to help you recognize how much there is to be grateful for. Save the list and pack it with your Thanksgiving decor. It’s fun to look back at the prior years as a reminder of what you were grateful for the year before. November 8th: Today I am thankful for my cozy bed, comfy pillows and sleep! 7. Boost Your Metabolism: Participate in a local Turkey Trot (5K or 10K). Eagle Creek Park has their Upland leftover turkey trail run to help rid you of your Thanksgiving overeating guilt. Some of the races are specifically for walking so don’t count yourself out if running isn’t your thing. 8. Bundle up and skate: Indiana State Fairgrounds offers Public Ice Skating at the coliseum from now until March. 10. Break a Record: In honor of Guinness World Record Day on the 15th, set out to break a world record. 11. Be a fan: Dress up in your best blue and gold and go cheer on the Pacer’s. 12. Get in the Xmas Spirit: Get tickets to watch “A Christmas Carol” at the Indiana Repertory Theatre starting on November 18th.